brandflakesforbreakfast: geeky karaoke - start typing! 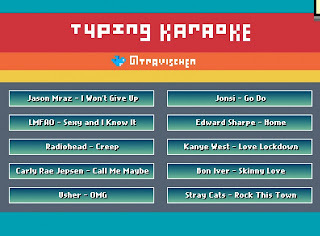 geeky karaoke - start typing! 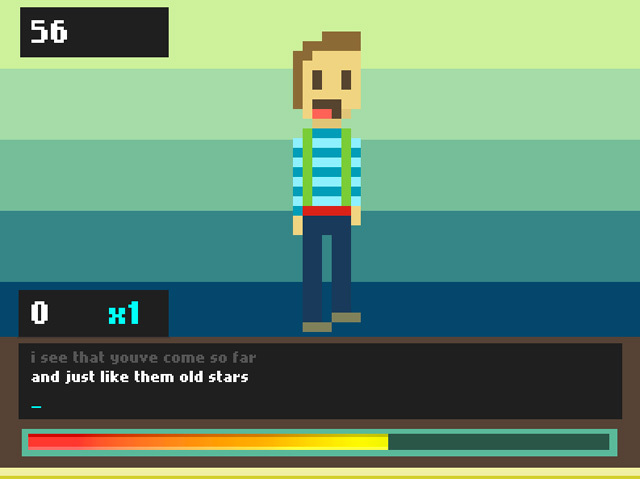 No need to loosen up your vocal cords for this karaoke. 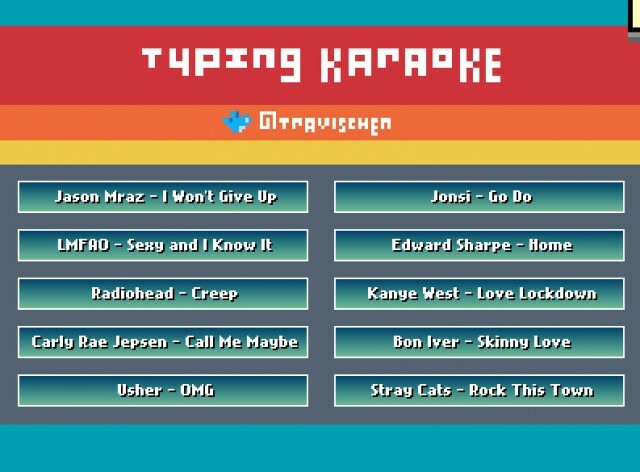 Travis Chen created Typing Karaoke, where you can test out your skills by typing the song lyrics instead of singing them. Plus, it’ll make you sound like you’re hard at work with all that fast paced typing! You know you’re gonna try it!